Business Insurance For Entrepreneurs - Coverage you can depend on. Let’s talk about business insurance for entrepreneurs. Before starting a business, it is essential that you are aware of the factors that could affect it. Businesses are often exposed to certain risks that could impact or halt their operations simultaneously. From natural disasters and terrorism to financial risks, it’s imperative that entrepreneurs take the proper steps to protect their businesses. Fortunately, there are a number of types of business insurance that can help protect your business. For those looking to start a business, or already have one, below are a few business insurance types to keep in mind. Every business with employees should have workers’ compensation insurance. Workers’ Compensation Insurance should be added immediately after the first employee is hired. This type of insurance helps cover and take care of medical treatments and death benefits. In other words, it helps protect you from pricey claims at the event an employee gets injured or worse. Individuals that choose to work as contractors need to have insurance to protect them in their profession. To do this, you’ll need to have a contractor’s insurance policy to protect you against structural damage and liability claims. Working as a contractor exposes you to such risks, injury being a likely event in such a profession. For those that choose to start their businesses at home, you’ll need to have a homeowner policy. It protects home- business owners from third party liability and property damage claims. The two types of insurance for home-based owners include commercial property insurance and general liability. As previously mentioned, businesses are at the risk of environmental factors such as floods and storms. Other factors such as an unexpected theft or fire can result in property damage or loss. Property insurance helps protect your property, everything from furniture to the equipment and the building itself. This type of insurance is also referred to as errors and omissions (E&O) insurance. If your business commits an error or fails to perform, it is likely to face a negligence claim from the harm caused. Professional Property Insurance helps cover such claims. Every business that operates from a physical location needs to have a business interruption insurance. In the event of a disaster and property is destroyed, this insurance helps cover the damage. Moreover, due to the damage, it is likely that the operation of the business will be affected. Due to the inability to work, the business is likely to face financial loss as well. Business interruption insurance helps cover the cost of financial losses. Every business that operates with the use of vehicles to transport products, services and/or employees should have vehicle insurance. Vehicle insurance covers liability costs should an accident occur. 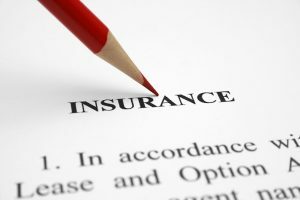 In conclusion, every business to needs to be aware of the type of business insurance it needs. It helps protect the business from lawsuits, financial losses, and different types of damages. Colstan and Associates are here to help answer all of your questions and find the right type of insurance for your business. Click For A Free Quote On Business Insurance Or Call Us Now at 631-226-2800.